Cash is untraceable and, as such, is highly vulnerable to theft, especially in harsh economic climates. Coin handling in vending, like other cash industries, needs effective and practical solutions to the growing risk of cash crime. With theft by employees accounting for between 5-8% of turnover, this is a major problem to today’s global vending industry. All our products are designed with the operator in mind; we understand the need to offer practical and easy-to-use solutions to vending crime, which do not inhibit the day to day operation of your business. When handling coinage, operators need to remove coins as quickly and discreetly as possible in public sites, so we have designed products which deliver just that – enabling operators to secure cash at its most vulnerable, in transit, whilst also protecting cash from theft from employees too. Safer Systems’ secure coin handling system, Custodian, offers a cost-effective solution to the problem of theft by employees. This patented, tamper-evident coin bag locks shut the moment it is removed from the vending machine, without the need to carry a key, sealing the coins in the bag until it is safely deposited at the office. It removes the opportunity to take loose cash from the bag by employees. 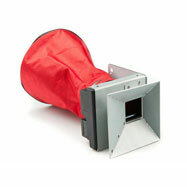 Coin bag removal by the operator on site is quick, discreet and simple, with the replacement of one bag with another. Security of cash in transit is further enhanced by the use of vehicle safes, which allow for the quick deposit of locked bags in the roll-top safe. 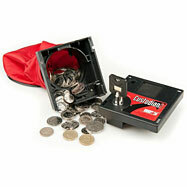 The cash is locked away safely until its arrival at the secure cash office, where the safe key is held. 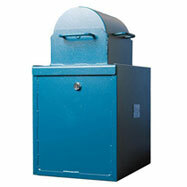 For more information on our Vending Lock systems, please click on the box below.